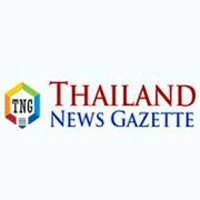 BANGKOK, Thailand Nine provinces across Thailand remained under floodwater during current monsoon season, a senior government official said on Monday. According to Department of Disaster Prevention and Mitigation director general Chayapol Thitisak, the provinces – Ubon Ratchathani, Yasothon, Kalasin, Sakon Nakhon, Nakhon Phanom and Bueng Kan in the northeastern region, Phetchaburi in the western region, and Ranong and Surat Thani in the southern region – were hit by flooding which had affected more than 61,000 villagers and inundated vast areas of farmland, following days of heavy rains since earlier this month. In the northeastern region, Mekong River overflowed and flooded the riverside and low-lying areas, including provincial capital of Nakhon Phanom, Chayapol said. Thailand is expected to be hit by monsoon rainstorms throughout this month, but authorities have taken measures to alleviate the flooding as well as possible landslides and mudslides in those provinces and elsewhere of the country, the DDPM chief said. The Royal Irrigation Department is currently closely monitoring the water level in major dams such as Bhumibol dam in the western province of Tak, Sirikit dam in the northern province of Uttaradit, Nam Un dam in the northeastern province of Sakon Nakhon and Rajjaprabha dam in the southern province of Surat Thani to see to it that any excessive water will be promptly released and will not cause critical spill-overs.